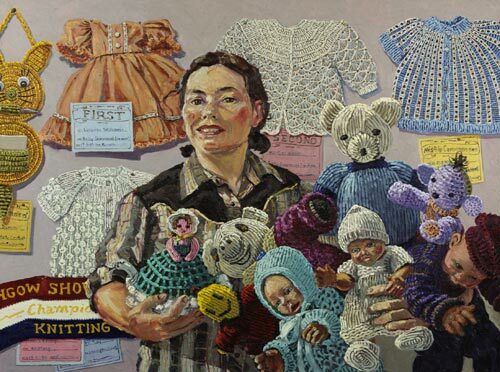 Lucy Culliton regularly paints self-portraits that tie in with the subject she is currently exploring in her art. ‘In 40 years I’ll have a whole string of them and I’ll be able to look back and see what subjects I was painting at what time’, she says. Born in Sydney in 1966, Culliton won the 2006 Portia Geach Memorial Award with her portrait Self with friends. She also won the 2006 Dubbo Lexus Mortima Prize and the 2000 Mosman Art Prize. She was a finalist in the 2003 Archibald Prize with a self-portrait with rooster and was also represented in the 2001 Sulman Prize. She has had seven solo shows at Ray Hughes Gallery since 1999.